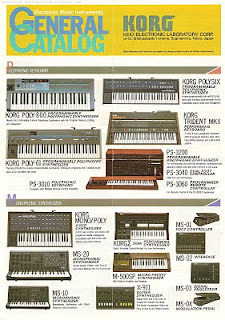 Korg Electronic Music Instruments General Catalog from 1984. We interrupt my ongoing fetish for everything that is "E-70 organ"-like for this special scan. 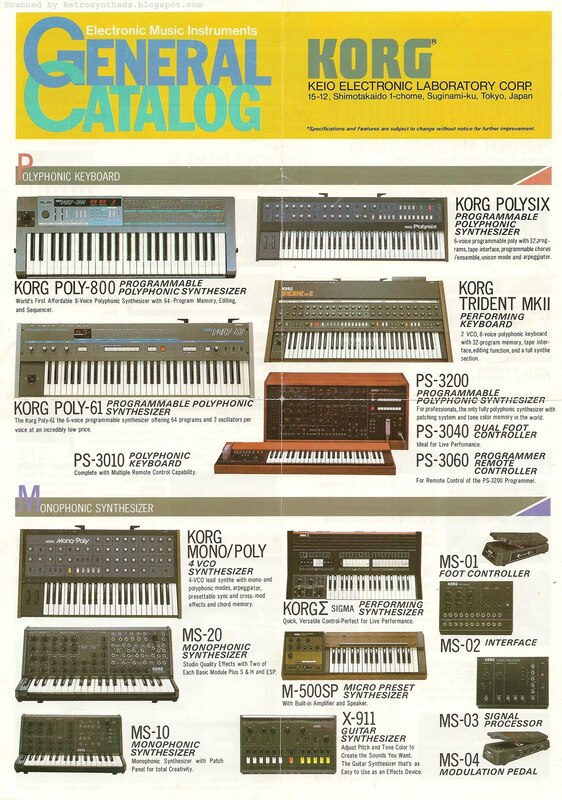 Somehow, back in the day, I chucked this Korg catalog sheet into a box with a wack of other papers, all of which then quickly became lost for the next decade or two. Then, just a short time ago, I was digging through some old boxes with a friend to show off some Moog modular "patch" sheets that included handwritten instructions from Bob Moog, and remembered I had this. Wow. 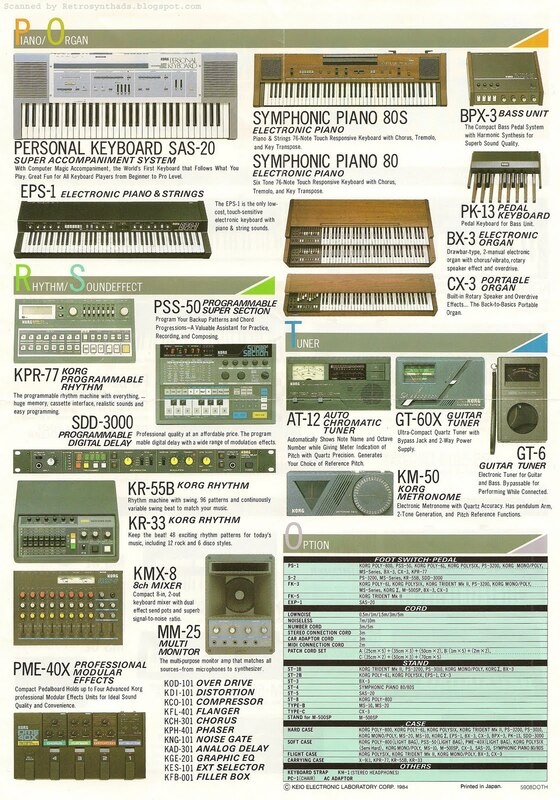 What a great summary of Korg's electronic products - all beautifully laid out within two pages. That's one jam-packed time capsule. 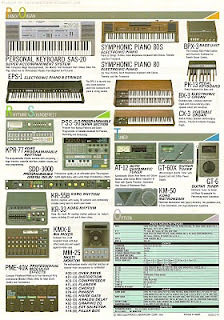 What I find most fascinating is how it so clearly demonstrates the design transition the synth industry was going through in the early to mid-80s. From the dino-3200 to the futuristic Poly-800. From knobs and jacks to buttons and digital displays. Wood paneling to plastic. And how about that PME-40x "modular" pedal board? How cool is that?!?!? To think all of this was available in 1984. But, alas, the KMS-30 wasn't available until later. Too bad - would have looked nice in this little catalogue.